Just for fun, we've come up with some similar matches to dresses worn on the Red Carpet last night. You can get our versions right here at TJ Formal! 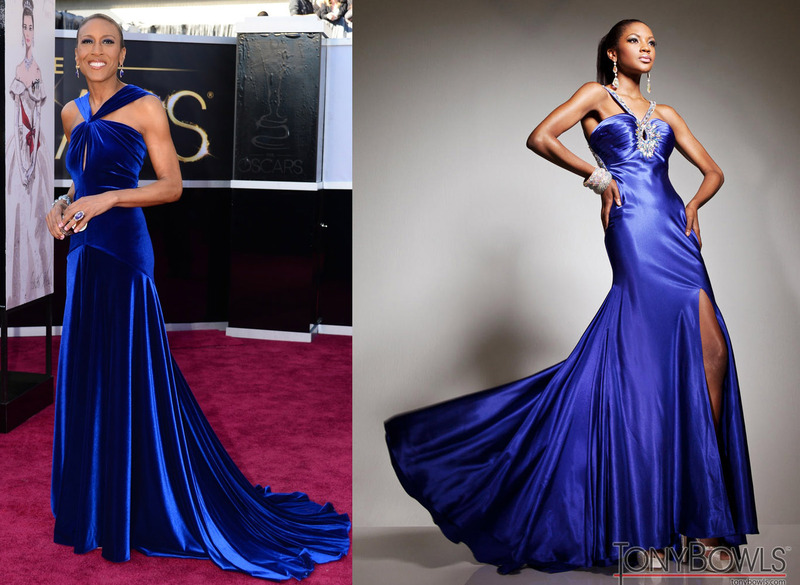 Robin Roberts looked gorgeous in her royal blue gown. Similar in a different fabric is Tony Bowls Le Gala Dress 113534. A beautiful gold embellished gown is worn by Catherine Zeta-Jones. You can find another beautiful gold gown with Jasz Couture Dress 4810. Gorgeous coral with a gold bodice is shown both on Kerry Washington's dress and La Femme style 18774. Jessica Chastain's dress was stunning and we found La Femme 18964 as a match. Naomi Watts wore a sparkly Pewter dress that can be found in a strapless style with La Femme 16546. This lacy black dress worn by Debra Bullock is similar to Jovani style 3988 - both have sheer skirts to show off toned legs. 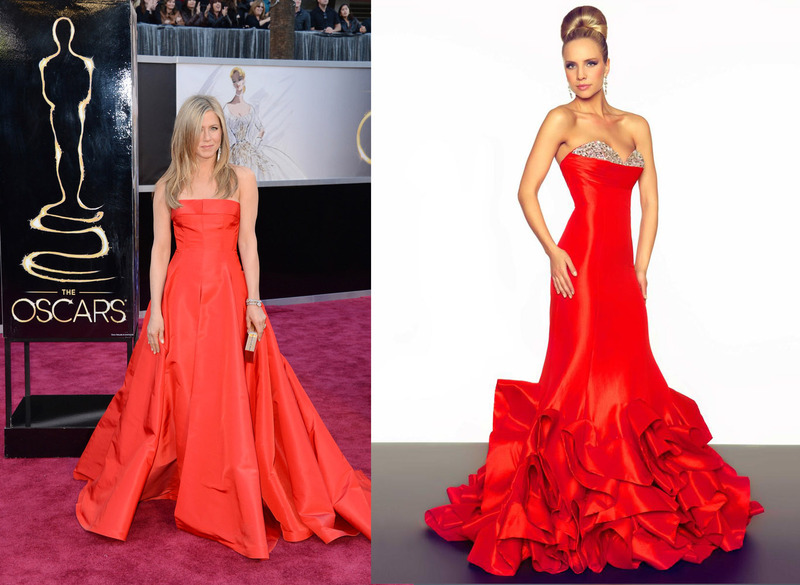 Jennifer Aniston wore RED, strapless with folded ruffles on the skirt. Mac Duggal Dress 61135R also has the folded ruffles and strapless bodice. A gold one-shouldered gown was elite and sophisticated on Lara Spencer. A similar gold dress is Jovani Prom Dress 2977.
in Black, but close in design. And simple, but elegant bright pink mermaid style is worn by Maria Menounos. This Alfred Angelo Bridesmaids Dress 7168 is our match. So how did we do? While not exact, you get the same feel and look from the dresses we chose. And probably for a fraction of the price!